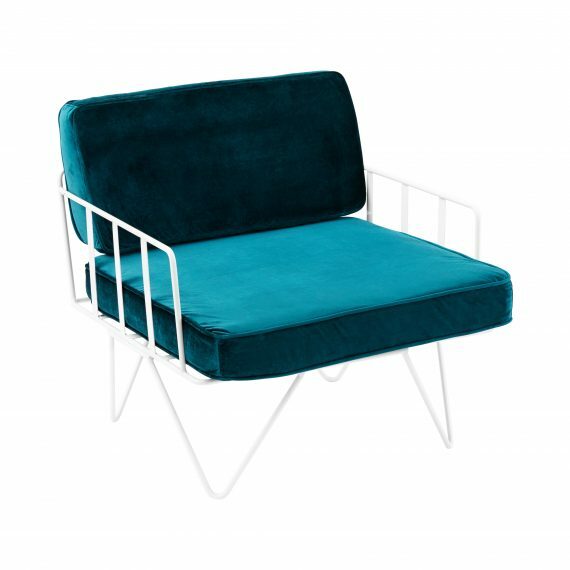 A contemporary hairpin white wire armchair, with emerald green velvet cushions. This chair is also available in black. A matching 2-seater white wire sofa lounge with emerald green velvet cushions is also available.